Whether your mobile food truck is dedicated to barbecue, vegan panini, grilled cheese, or any other food on this green and blue planet, you want your launch to be big. 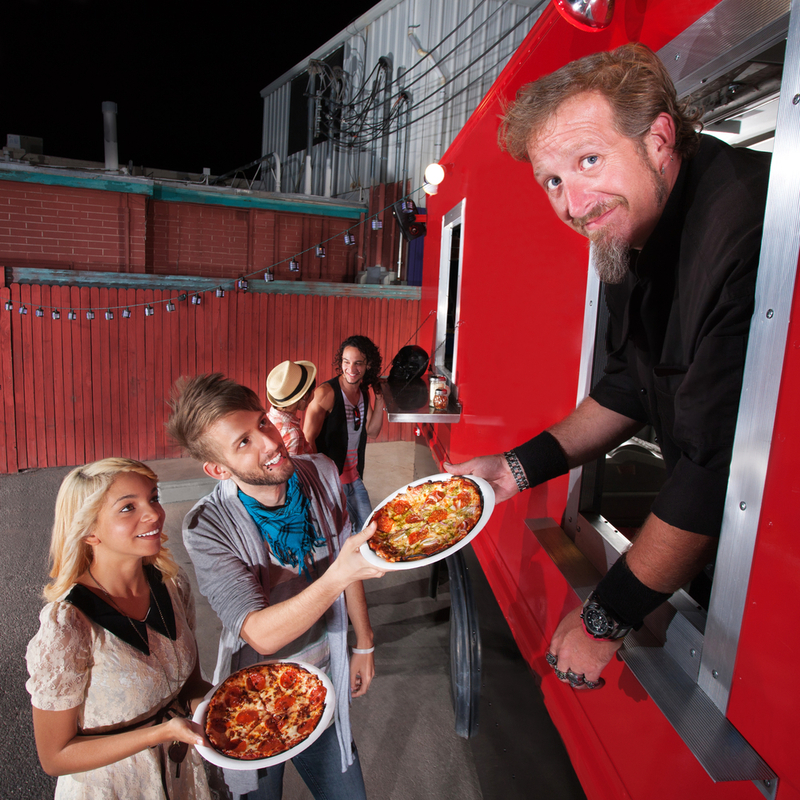 Become the neighborhood favorite with a debut that puts your food truck in the minds of your target consumers and encourages them to follow you around your town or city. Use these tips to ensure a successful debut. The best food trucks are customized. They feature bright and fun colors, patterns, and designs to grab and hold consumer attention. If your food truck is all about burgers, for example, you could commission an artist to create a smiling burger design or spell your truck’s name out in ingredients such as lettuce, onion, and tomato. Use social media to announce your truck’s presence and debut event. In addition to hyping the launch on your personal platforms, make social media accounts exclusively for the business. Foursquare, for example, lets your fans know where you are at any given interval. Instagram provides the opportunity to share mouth-watering images of your food as well as your truck in different locations. Consider making Twitter and Facebook pages as well. Post a special debut discount or other great deal on your social media pages, such as free food or drinks to the first 100 people who like your Facebook page or a coupon available only to those who follow you on Twitter. Other discount ideas include free beverages with food purchases or plain old free samples. Discounts and freebies are always appealing! Participate in community events, such as summer festivals and night markets, to cement your place in the minds of your target audience. Print schedules of your upcoming events with your menus to help consumers remember you. Shanghai Mobile Kitchen Solutions is your mobile food truck partner. The Brooklyn, NY-based company specializes in custom food trucks and restaurant kitchens, and they offer the repair services you need to never miss a day of business. Call (800) 253-4815 or visit the website today to learn more about their design and maintenance solutions. Follow the company on Twitter for more helpful tips.